We are happy to announce that we have something for you! This code enables you to give your family and friends a 5.00 USD discount on their Order Card transaction. You will then earn in your Paycent account for every successful referral using your code. 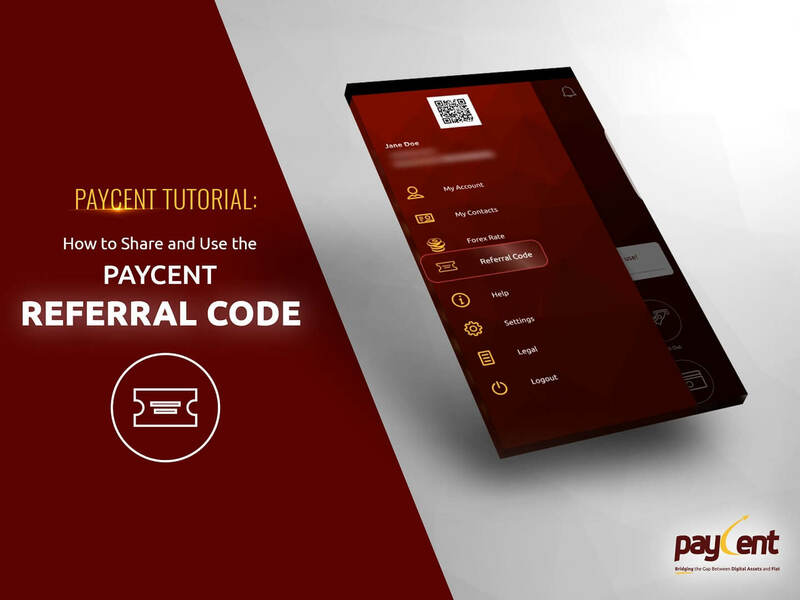 After ordering your very own Paycent Card, a referral code will be activated. 1. Login to your Paycent account. 3. Choose “Referral Code”. Your referral code will be shown on the screen. 4. 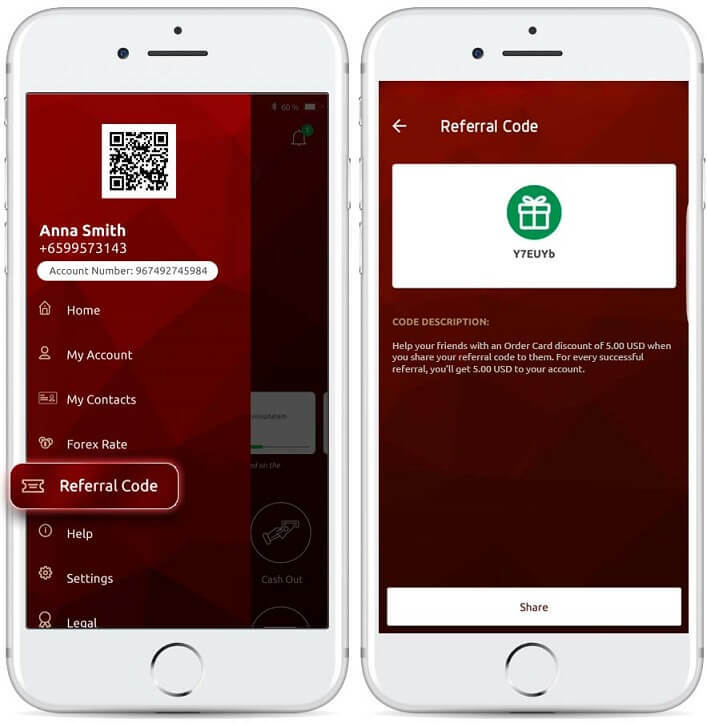 You can also share your referral code by SMS or email. A notification will appear once a successful referral is made.